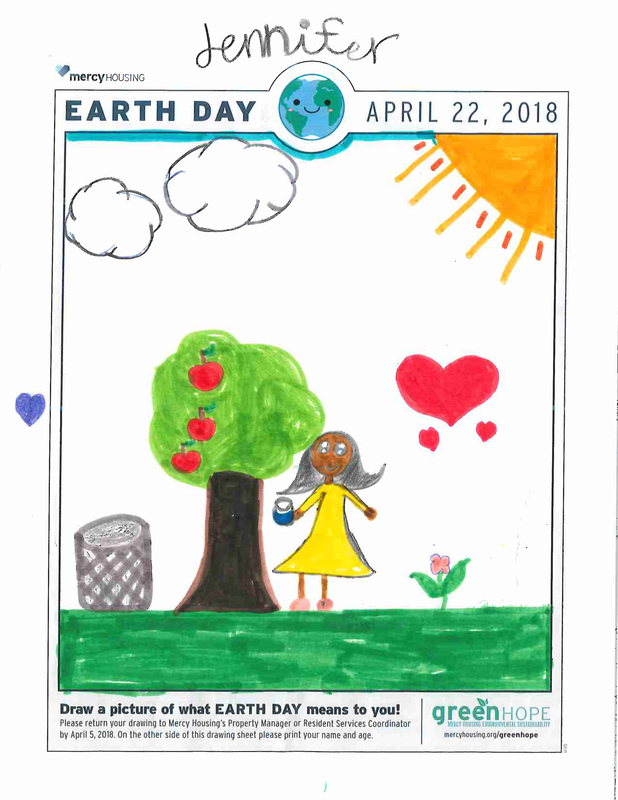 This month, the Mercy Housing National office hosted an Earth Day drawing contest that was open to residents from all regions across the country. 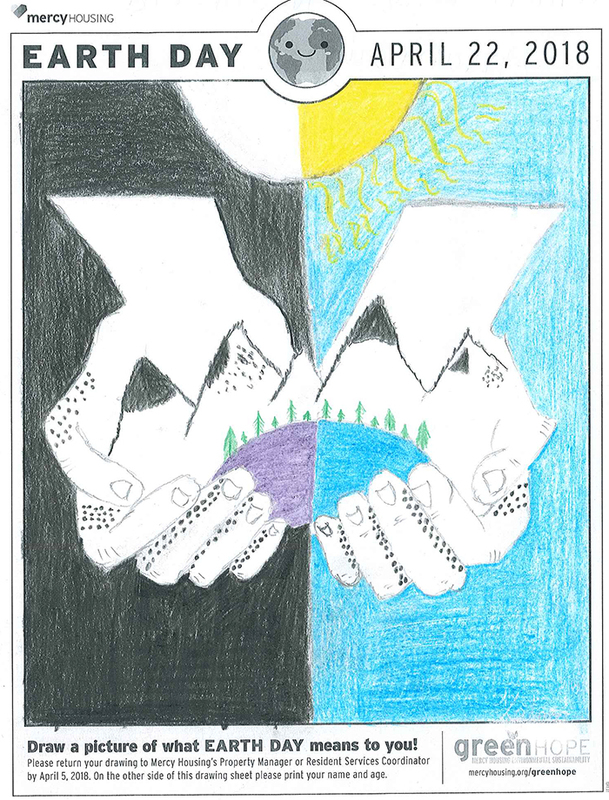 Residents were asked to create a picture of what Earth Day means to them. Here are just a few of the drawings we’d like to share from our many talented artists at properties across Washington State. We are excited to share that two of the five contest winners were from the Northwest! 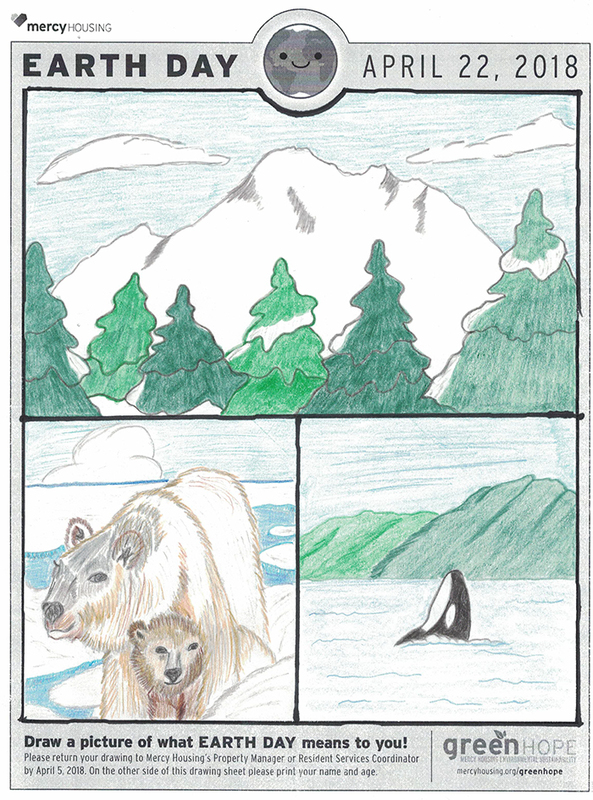 Congrats to Xiamen from Kent and LaVetta from Snohomish — their drawings are featured here, along with another fun entry from 9-year-old Jennifer in Tacoma. Check out more Earth Day drawing contest winners on Mercy Housing’s Facebook page!